Srinagar : Jammu and Kashmir Liberation Front (JKLF) Chairman Muhammad Yasin Malik was arrested here on Sunday while leading a protest march. Malik, who had gone underground for two days, emerged in uptown Maisuma locality leading a group of protesters and began walking towards the UN Military Observers Group in India and Pakistan (UNMOGIP) in the city. 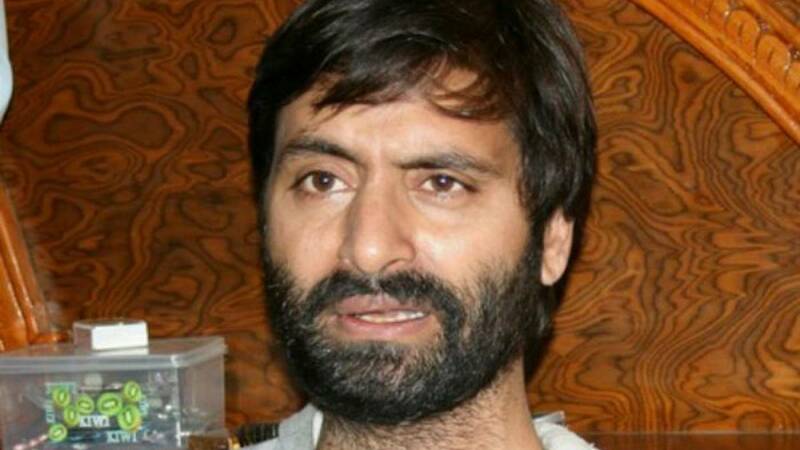 Police arrested Malik and lodged him in the Kothibagh police station.Separatists had called for a protest march to UNMOGIP headquarters in Srinagar to highlight what they said were human rights violations in Kashmir. Restrictions have been placed in most areas of Srinagar to prevent the separatist-called march on Sunday, coinciding with World Human Rights Day. Mirwaiz Umer Farooq and Syed Ali Geelani, two other senior separatist leaders, have been put under house arrest to prevent their participation in the protest.